I absolutely loved The Christmas Chronicles and it is the best book to savor through my favorite Holiday months. From Thanksgiving to Christmas and into the beginning of the New Year, this book will make you learn to love the littlest details and traditions in life. It will help you pause in your life and count the small things as huge blessings. His words are refreshing to your mind and soul! If you love good and delectable eating, his recipes are exquisite with a homey taste and feel. They are not hard to make at all and are perfect for people who consider themselves are everyday cooks, which is what I consider myself. I loved the pictures and the stories that encompassed the recipes. Overall, this book is great! Filled with stories, recipes, traditions, pictures and beautiful writing, this book will take you on a journey as you read through the captivating pages. I enjoyed this book and can't wait to read it again as part of my holiday traditions. Thank you to the publisher for sending me a copy for review. A favorable review was not required. 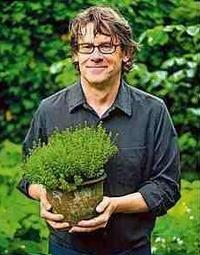 Nigel Slater is a British food writer, journalist and broadcaster. He has written a column for The Observer Magazine for seventeen years and is the principal writer for the Observer Food Monthly supplement. 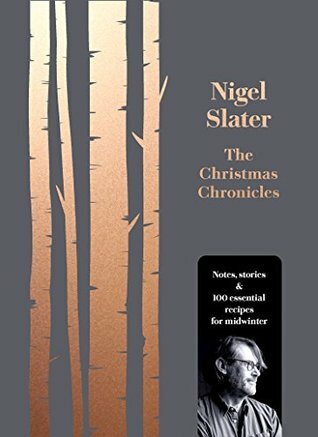 Prior to this, Slater was food writer for Marie Claire for five years. He also serves as art director for his books.